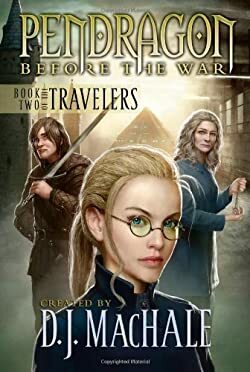 Pendragon Before the War: Book Two of the Travelers sheds some light – Lifelight – on a dangerous competition between young Aja and her classmates. Elli Winter first discovers Mr. Pop, and Alder learns what it takes to be a Bedoowan knight. Before Bobby Pendragon. Before Saint Dane. Before the war . . . Every territory of Halla has a Traveler. They lived for years–some even for decades–before learning of their true destiny. What was life like for Bobby Pendragon’s fellow Travelers before they joined him in the fight to save every time and place that has ever existed? What led up to their becoming the guardians of Halla? The answers are here In this first of three thrilling Pendragon prequels, read about Vo Spader’s death-defying adventures in the underwater world of Cloral, Gunny Van Dyke’s race to find a murderer in 1930’s Manhattan on First Earth, and the tough challenges Kasha faced on Eelong well before Bobby Pendragon arrived . . .